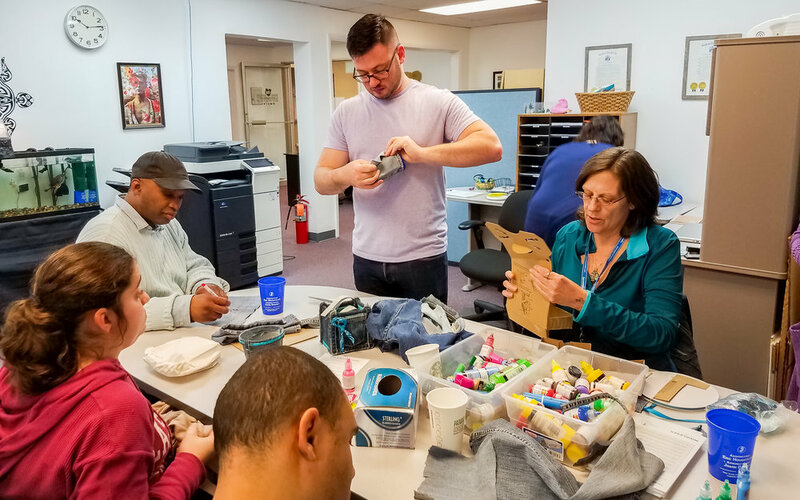 ACI members and volunteers participate in Denim Day, a campaign that takes place during Sexual Assault Awareness Month (SAAM) with the goal to prevent sexual violence through education and public awareness. Jeff Anthony, Project Coordinator of Middlesex County L.E.A.D.S., facilitated the activity which involved designing teal and denim pins. Posted on April 30, 2018 by Brian Mazzarella.